The rocks of Fforest Fawr Geopark are all sedimentary and pile on top of each other like a layer cake. Overlying the Ordovician rocks are rocks of the Silurian Period. These rocks also occur in the North west portion of the Geopark (see fig 1) stretching in a band to the east of the Ordovician rocks from town of Llandovery to near Llandeilo, with a smaller area occurring just to the north of Brecon. As previously discussed the Silurian Period was named by Murchison after the Silures tribe who would have inhabited the Fforest Fawr Geopark during Roman times. Today the Silurian is divided up into 4 epochs: the Llandovery, the Wenlock, the Ludlow and the Pridoli. These names are internationally recognised as the official names for rocks of these time periods all around the world. 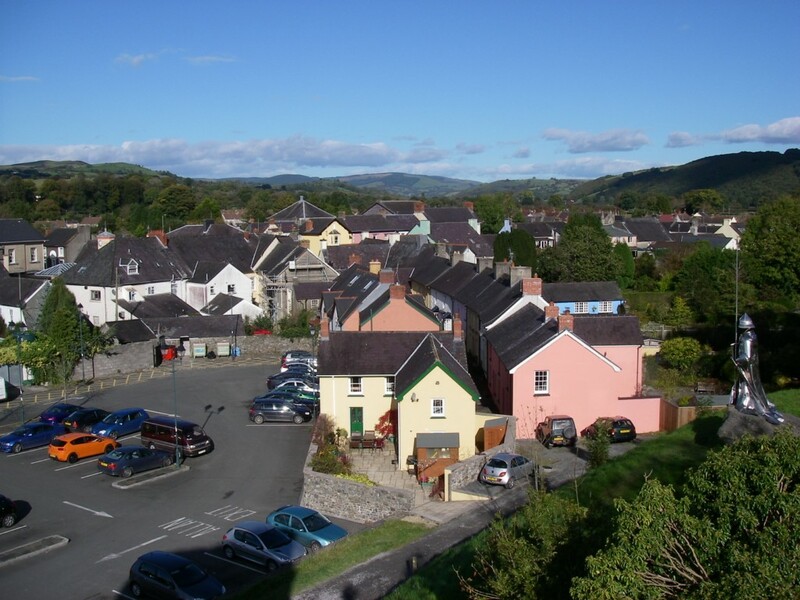 The Llandovery is named after the Fforest Fawr Geopark town, the Ludlow and Wenlock are named after places in the nearby English county of Shropshire, and the Pridoli after a site in the Czech Republic. Each epoch is further subdivided into stages and two of the three Llandovery stages the Aeronian and Telychian stages have their global stratotypes within a few miles of the Geopark boundary. The Aeronian Age lasted from 440.8 million to 438.5 million years ago and is named after Cemcoed-Aeron Farm. The Telychian lasted from 438.5 million to 433.4 million years ago and is named after the Pen-lan-Telych Farm. Both farms are in the area surrounding Llandovery.